Currently there are over 500 registered IBGA players and many more playing who are not yet registered. The number is growing all the time. 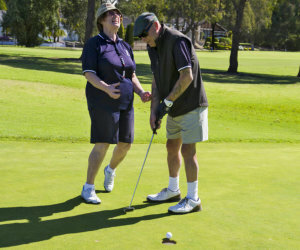 Blind Golf is played strictly to the Rules of Golf produced by the Royal and Ancient Golf Club of St Andrews (R&A) and United States Golf Association (USGA). 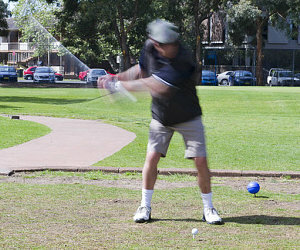 They have published "A Modification of the Rules of Golf for Golfers with Disabilities". This allows blind golfers to ground their club in a hazard and their coach/guide to stand on the line of the shot without penalty while the shot is played. Competitions can be played off scratch within each sight category or off handicap across all sight categories. The IBGA has developed a Handicap Scheme that is operated by all member associations and is used for international competition. Members of IBGA are now spread right around the world on all continents after the forging in 1998 of an association of six countries starting with Australia and the United States. With the advent of that association Blind Golf grew in popularity and is now not only played in more countries but those countries are experiencing the excitement of having Blind Golf Tournaments organised there-in with the support of the IBGA. 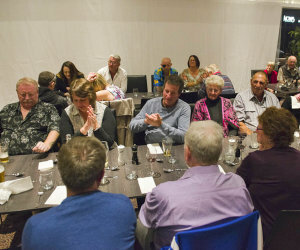 The Blind Golf Association Member Countries now enjoy a fast-growing database of players and supporter including Coaches and Volunteers and appreciate the opportunity to get together at official functions. Dr Haruhisa Handa is the first Japanese to be appointed to the post of vice president at the Royal National Institute for the Blind (RNIB), UK oldest and largest charity, in recognition of longstanding contributions to blind welfare. He is a Member of the Board of Directors at the Association for the Blind of Western Australia. Dr Handa established the first Blind Golf Club in Japan in 1988, and is known to many in Japan as the "Father of Blind Golf". 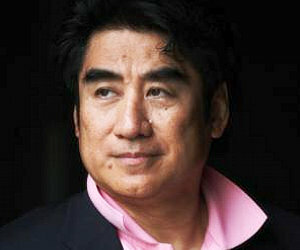 He serves as Honorary Chairman of the Japanese Blind Golf Association (NPO) and Honorary President of the International Blind Golf Association. The latest news and events including the results of recent tournaments can be enjoyed on the pages of the website. Both events will be in September with more information now online; see NEWS or EVENTS for dates and locations and links to download Information Sheets and Entry Forms. The fourth edition of the ISPS Handa Vision Cup will be hosted by the Portmarnock Links Golf Club, Dublin, Ireland from 17-20 June 2019. The Vision Cup is a biennial Ryder Cup style tournament featuring the top 12 ranked blind golfers from North America competing against the top 12 from the rest of the world. Also the ISPS Handa Austrian Blind Open will take place from September 1st - 5th at Golfpark Mieminger Plateau, Tirol, Austria. The first of the 2019 events are now online with an INFORMATION SHEET and ENTRY FORM for the 2019 ISPS Handa US Blind Golf Open Championships to be held on April 4 - 8 2019 at the Haven Golf Course, Green Valley Arizona. Also the ISPS Handa British Blind Open will take place from 21 - 25 July 2019 at Carden Park Hotel Golf Resort, Nr Chester, England. INFORMATION SHEET and ENTRY FORM for the 2019 ISPS Handa British Blind Golf Open Championships are now online. The dates have been announced for the Canadian and Western Canadian Golf Open Championships for July 7th to 14th. We welcome Mexico and Ricardo Silva Da Luna to the growing list of Associate Member Countries. 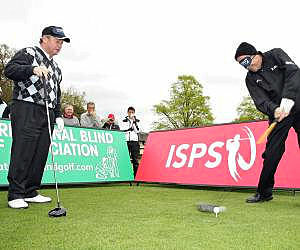 Special Report from Ernst Conradie from South Africa: Blind Golf Stunt! "I have decided to do another mad stunt this year to show people that blind and visually impaired people can also play golf and that we can do it sometimes better."